One of the coolest ways to learn about Microsoft Flow’s functionality is by exploring templates. It’s fantastic for ideation and for flushing out how solutions really work. Here’s an introduction to Flow Templates. Have fun! To begin, sign in to Flow at https://flow.microsoft.com. Click on Templates in the left-side navigation panel. Explore Templates using the Search templates bar at the top of the page to see all the templates by function and by Connector. Take some time to explore! This is the fun part! You can search by key words, connector names, etc. After digging around, type Calendar in the search bar. I chose to highlight the Office 365 Calendar to Google Calendar, because I have both kinds of account and would like to have my activities on one calendar between my work and personal life. Next, you will be prompted to sign into those accounts and give Flow permission to access your accounts. Once you’re inside the flow, make sure to set your Calendar IDs in both spots. You may want to rename your flow in the top left bar where the name is located. On the left side of the page, use the same navigation page that brought you to the Templates. This time, however, click on My Flows. 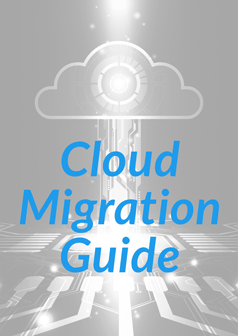 Hover over your new flow and an ellipsis will appear with important administrative functions. You can edit, share, turn on/off, delete and more. Congrats! You just made your first flow from a template! 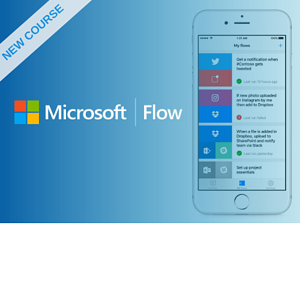 Another cool way to learn Microsoft Flow is by taking our Introduction or Advanced Microsoft Flow courses as part of our On-Demand Learning platform. These are only 2 of the 50+ courses we offer covering Business Intelligence, Azure, Big Data, Power BI and much more! How about starting with a FREE course. 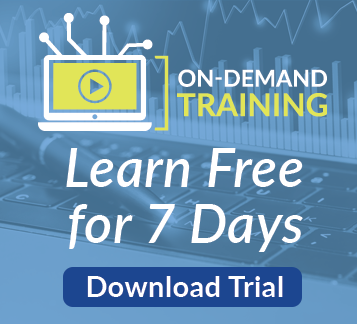 Yes, you heard right, our Dashboard in a Day course with 7+ hours of Power BI content is absolutely FREE! Click the link below to get your free course today!